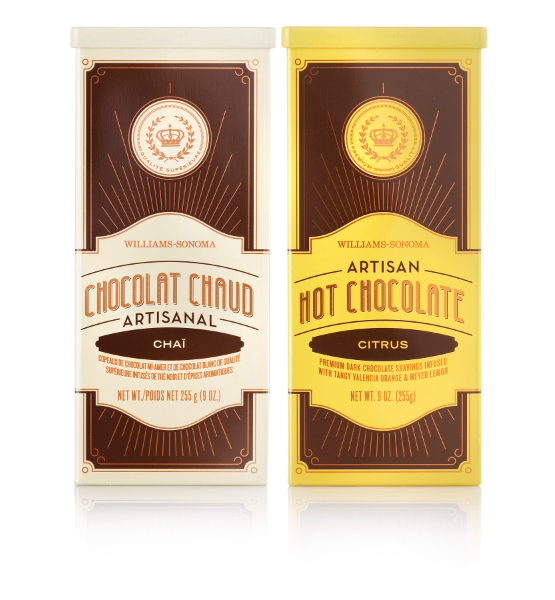 Here’s some new tins we designed for Williams-Sonoma’s new line of Artisan Hot Chocolates. 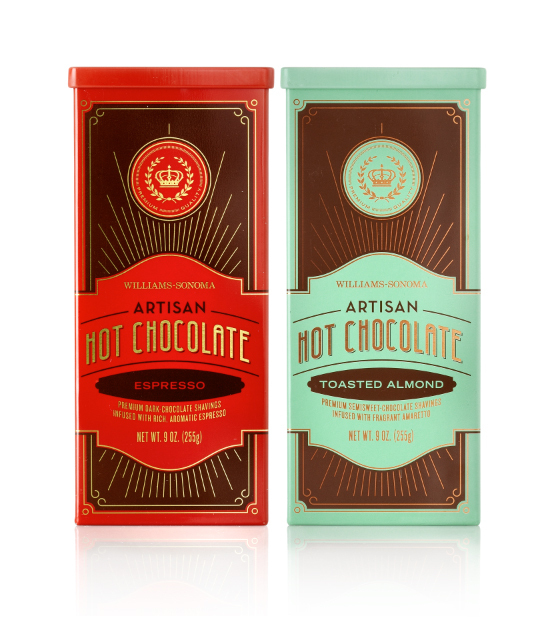 All the flavors are pretty delicious although I’d have to say our personal favorite is the Toasted Almond. Many thanks to Mike Hester, Sarah Hingston and the team at Williams-Sonoma for such a tasty project! They’re available for purchase here.